Altitude sickness is one of the great dangers of climbing — and the most erratic. Its effects can range from a slight headache to losing the power of speech to slipping into a coma while you sleep. We'll tell you how it works — and the drugs and genes that can help climbers avoid it. People aren't entirely certain what the biological steps in altitude sickness are. Researchers generally agree that it begins with a lack of oxygen taken into the body at high altitudes. Although the percentage of oxygen in the air at high altitudes is the same as the percentage at sea level, the amount of air, and thus the air pressure, drops enough that it's difficult to take enough oxygen into the body. Some people adjust to this drop in oxygen intake, but for others, it seems to hijack their entire vascular system. Two of the first symptoms are headaches and a light cough, which sound like about as minor a couple of complaints as anyone could ever have. The reasons behind them aren't so harmless. The headache is the result of brain swelling. In an attempt to get more oxygen to brain cells, the blood vessels dilate, swelling up. The capillaries in the lungs also develop problems, specifically leaking fluid into the lungs. As the sickness gets worse, more of the vascular system is taken out. Blood clots start forming inside the blood vessels. Tissues start hemorrhaging. Generally, though, it's the fluid in the brain or the fluid in the lungs that kills people. Escalation can be marked by some regular symptoms such as loss of appetite, pallor, or extreme fatigue, but the swelling in the brain causes wildly different symptoms. Some people can become withdrawn or quiet, while others become combative and irritable. Some can be mentally clear but unable to walk, while others are physically able to go on but mentally lose touch with reality. One woman reported being able to walk easily, but losing the ability to speak. She could think clearly in full sentences, but was unable to get the words out, so she followed her guides downhill wondering quietly if she was going to die. Altitude sickness generally keeps people from sleeping soundly, but the fear of the sickness should, by itself, be able to keep people awake. In true horror-movie style, it creeps up on people when they sleep. When we sleep, our breath rate slows, cutting off more oxygen from an already deprived body. In one horrifying case, a man was perfectly well as his party made camp for the night, and ate a good dinner. When the morning came his guides weren't able to wake him, as he'd slipped into a coma during the night. He survived after his team carried him down the mountain to a hospital. 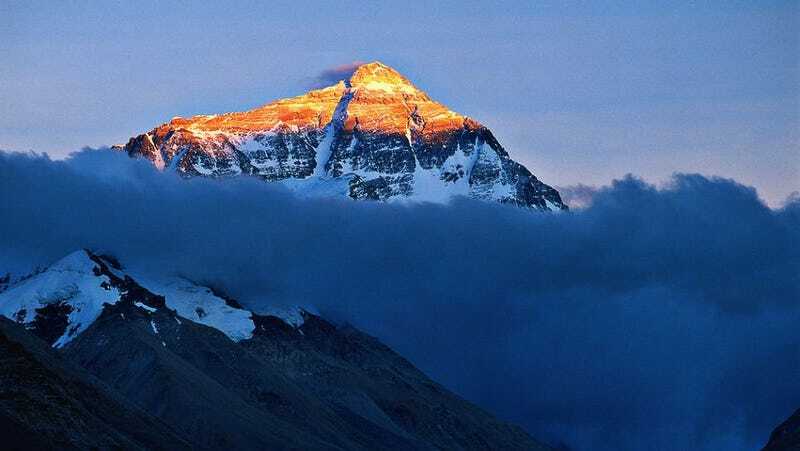 Experienced mountaineers on Mount Everest and vacationers hiking through the mountains of Peru for fun have died of acute mountain sickness, but they were just visiting high altitudes. Many assume that those who live their whole life at high altitudes — especially those who have lived for generations at high altitudes — have either adjusted or adapted. This is not necessarily the case. While people living on the East African Plateau seem entirely free of altitude sickness, people living in Tibet do sometimes have chronic sickness, and those living in the high Andes experience it quite frequently. These people are often sick their whole lives, and tend to die of strokes much younger than those who don't have the condition. A team of researchers from The University of California at San Diego studied the genetics of both the sick and healthy populations of people in the Andes. They found two genes that seemed to make a difference. Both sick and healthy people had genes ANP32D and SENP1, but those with chronic altitude sickness had significantly increased expression of those genes. When the team found and suppressed the expression of analogous genes in fruit flies, they found that those flies with suppressed genes survived hypoxia much better. For those with unlucky genes, there are drugs on the market to combat mountain sickness, but for mild cases at low altitudes, ibuprofen seems to get rid of the symptoms. One study found that a dose of ibuprofen reduced the rate of mild altitude sickness in hikers by 26%. Researchers believe that it reduces the swelling in the brain. If, on the other hand, you're experiencing altitude sickness at the beginning of a long trek to high altitudes, throw out the ibuprofen and go directly downhill. Altitude sickness is relatively unstudied because of how quickly and unpredictably it goes from nausea to coughing up blood to death. Even those who take time to acclimatize can suddenly and violently get sick. Any sign that's more than a mild headache means it's time to accept that the mountain won. Top Image: Bernard Goldbach. Second Image: Olaf Rieck.